Believe it or not… the Walt Disney World Resort truly does become more magical during the holiday season. With special events throughout the parks, beautiful decorations throughout the parks and resorts, it is one of the best time of year to visit. 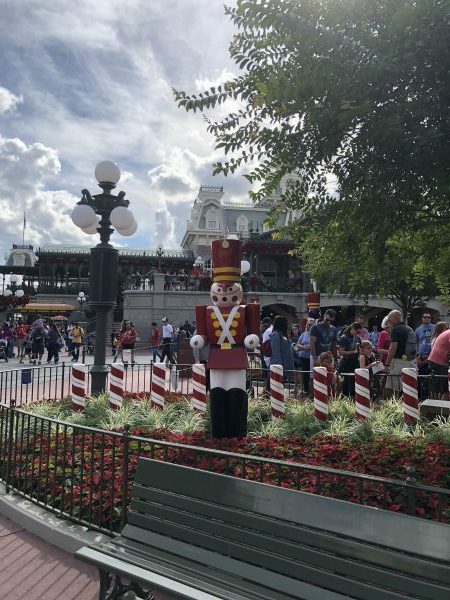 Mickey’s Very Merry Christmas Party: This separate ticket event is held on select nights in November and December from 7 pm to 12 am at Magic Kingdom Park. 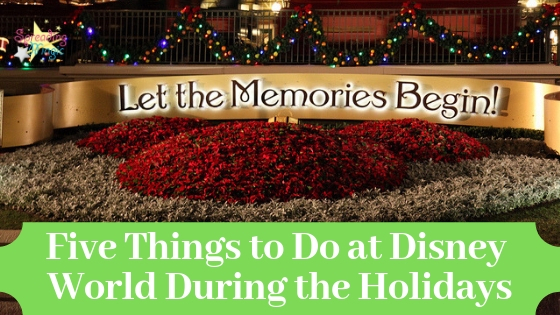 Although there is an added cost for this experience, you get to enjoy unlimited hot cocoa, apple juice, cookies, and apple sliced throughout the evening; Once Upon a Christmastime Parade; a Frozen Holiday Wish; the Jungle Cruise transforms into the Jingle Cruise; Holiday Wishes fireworks spectacular; two dance parties; rare character meet and greets and so much more! 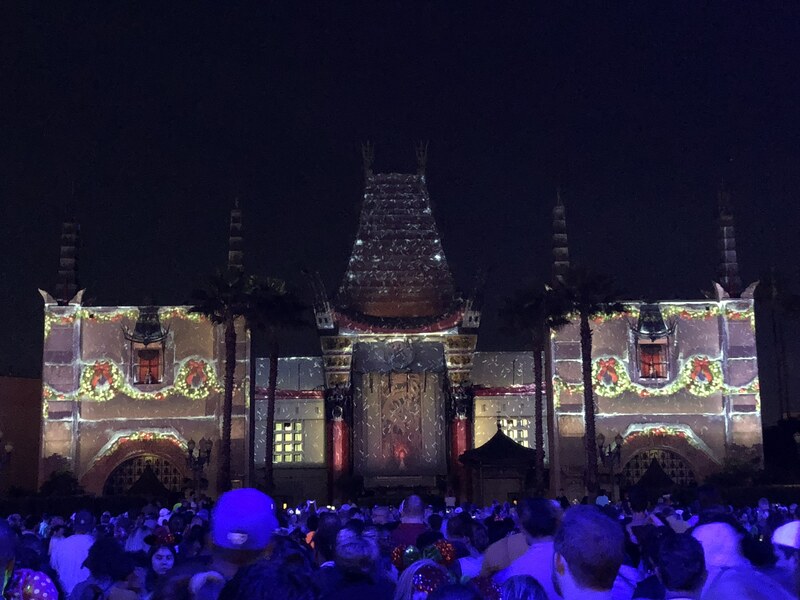 Flurry of Fun at Disney’s Hollywood Studios: The Hollywood Tower Hotel transforms with projections and even “snow” along Sunset Boulevard during Sunset Seasons Greetings where guests can enjoy four stories about some of our favorite Disney characters. Jingle Bell, Jingle Bam is a fun nighttime show projected onto the Chinese Theater. Wayne and Lanny from ABC’s Prep & Landing need our help to save Santa Claus and bring him back to the North Pole in time for Christmas Day! Epcot International Festival of the Holidays: The Epcot International Festival of the Holidays includes holiday kitchens featuring seasonal recipes, Chip & Dale’s Christmas Tree Spree scavenger hunt around the World Showcase, Candlelight Processional, and more. Candlelight Processional is always a guest favorite, featuring a celebrity narrator reading the Christmas story and accompanied by a fifty piece orchestra and full choir. Even with three readings nightly, this event fills quickly so we do strongly recommend the Candlelight Processional dining packages to reserve your spot. 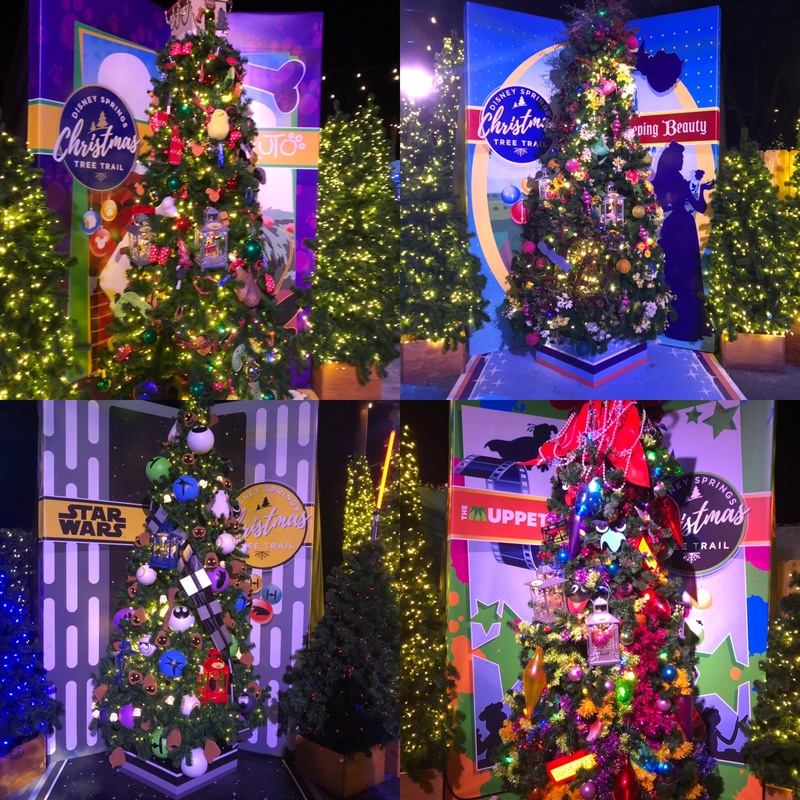 Christmas Tree Trail at Disney Springs: 2016 was the first year that Disney created the Christmas Tree Trail at Disney Springs and it has grown each year since! With twenty-five trees planned for 2018, all inspired by our favorite Disney movies and characters, this is a great place for photo opportunities or even a little inspiration for your Disney decorated trees at home. Resort Decorations: All of the Walt Disney World Resort hotels decorate for the holiday season with Christmas trees, wreaths, and more. However, some have over the top decorations that you just have to see for yourself! 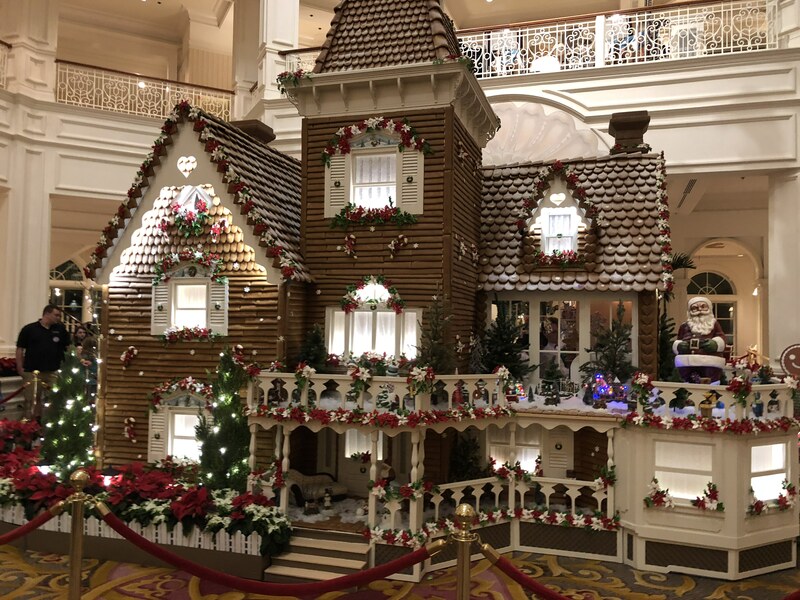 The most incredible is probably the life size gingerbread house at Disney’s Grand Floridian Resort & Spa. Although you won’t want to miss the life size gingerbread carousel at Disney’s Beach Club Resort or the gingerbread castle at Disney’s Contemporary Resort, either. There are even sleigh rides through Disney’s Fort Wilderness Resort and Campground! 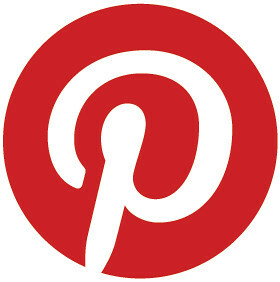 What are your favorite things to do during the holidays at Disney World? 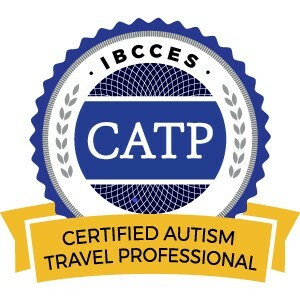 Call Siera today to book your Disney World vacation at 734-771-1290 or email her at siera@destinationsinflorida.com anytime with questions or a free, no obligation quote! 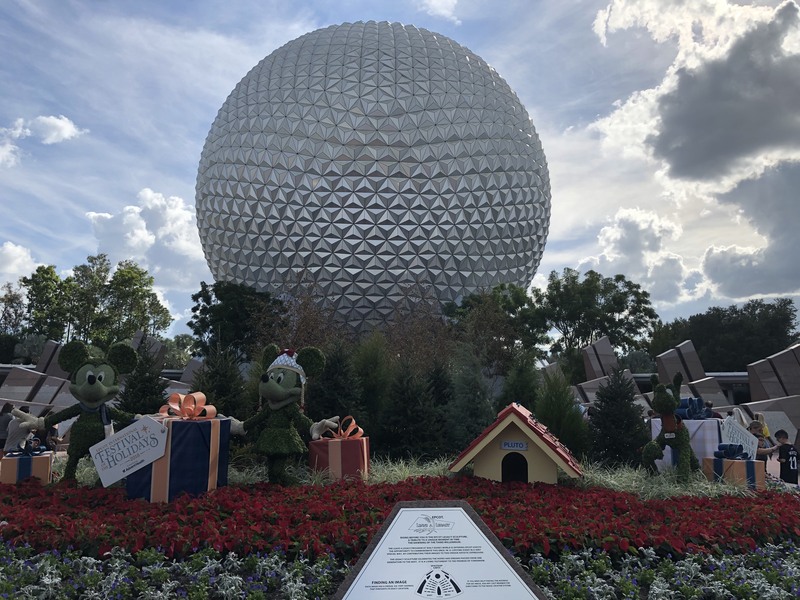 This entry was posted in Disney, Disney World, Florida, Orlando, United States, Walt Disney World Resort and tagged Candlelight Processional, Christmas Tree Trail, Epcot International Festival of the Holidays, Mickey's Very Merry Christmas Party on December 3, 2018 by siera.